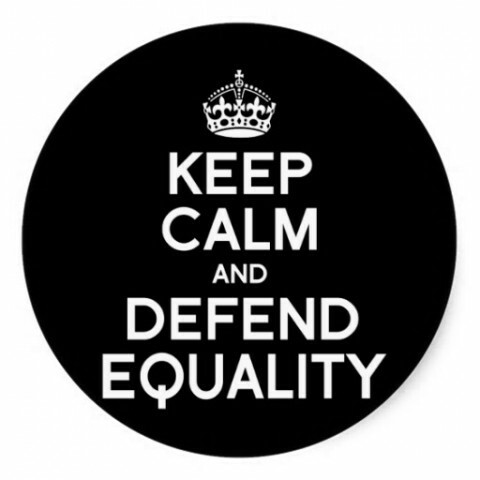 This week I am posting about equality in the context of two related topics that were new to me. The first topic is Net Neutrality. I had never heard of Net neutrality so I really needed to get some background. In my post I will explain what it is, why it is important and what some of the experts have to say about it. The second topic is that of free internet services and the potential for these services to bring knowledge to the disadvantaged and developing countries. Both of these topics are related to equality among people; people of all races, whether they are wealthy or not, or whether they live in the first or third world. In a speech he gave for the Association of College and Research Libraries in 2015 Lawrence Lessig, a proponent of net neutrality, describes it with an easy to understand analogy (17:58, see below). He compares the internet to an electrical outlet and competing internet providers to appliance companies. So, in a two-tiered system, if you were to buy a Sony appliance it might not get the same power supply as a Panasonic, depending on the contract between the appliance companies and the power company. So how does net neutrality affect equality? Lessig says neutrality fosters free speech and leads to further democratic participation. Lessig also states that monopolization of the internet would stifle diversity of independent news sources as well as innovation. Basically, we need the net to stay neutral so all perspectives can be considered on the internet, and so that the wealthy are not at an advantage of getting information that is unavailable to the middle class or those in poverty. It is also important that all innovators, regardless of their social standing, have equal access to learn and to innovate. Cade Metz’s article Backlash Against Facebook’s Free Internet Service Grows describes Mark Zuckerberg’s effort to bring free internet service to the developing world. Zuckerberg claims that his service Internet.org and his app Free Basics will bring the benefit of internet knowledge to the two thirds of the world who currently do not have it. Zuckerberg claims that this is a humanitarian effort and that his service can co-exist with net neutrality. However, some countries will not partner with Zuckerberg as they believe that Internet.org does violate the principals of net neutrality. Internet.org was made available to some countries in 2015. Similar sites such as Wikipedia Zero and Google Free Zone are also available. I feel I need to learn more about these services before I form an opinion of their value. I would like to believe that they hold amazing potential to spread the knowledge and to empower people in parts of the world currently in need. I believe that the internet is part of the knowledge economy and that it can be a powerful equalizing force in our world. Now that I have a basic understanding of net neutrality and services such as internet.org, Wikipedia Zero and Google Free Zone, I want to know more. I am intrigued and I see the possibilities. I will continue to read more about this. I can also see how this relates to education, especially justice education. I teach in a school where the majority of students are from a low socioeconomic background. I can see how net neutrality is important for equality and the future success of my students. What are your thoughts on net neutrality and Internet.org? How can educators work to support net neutrality and equality for all our students? I compared the Internet divide to being a farm kid with access to only two channels on the farm or only being to afford basic cable. It looks good on the outside to offer some type of service to developing nations via portable devices, but such limited amounts and the content being decided by the corporate world is wrong. It only perpetuates inequity and class division, now via the digital divide. I see what you’re saying. My husband also grew up with “FarmerVision”. However, if the service is a search engine and net neutrality is maintained then this is a good thing, isn’t it? I still need more background to understand if that is, in fact, the case or not. (I’m thinking it currently is not?) But this is a goal to be striving for.